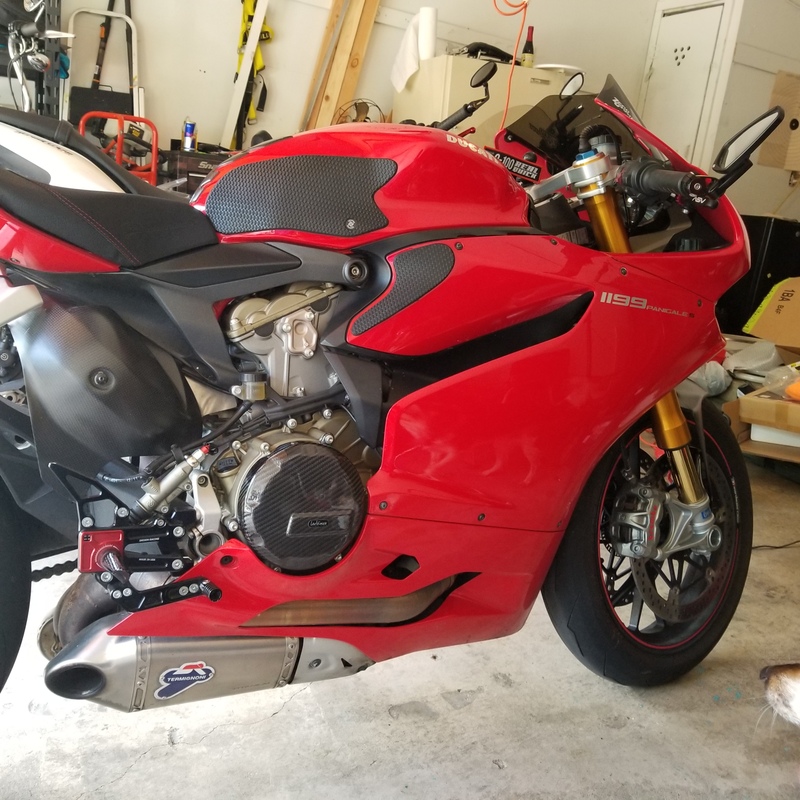 I have a 2012 1199S with termi slip ons. I purchased the bike 2 weeks ago. I was surprised by what fealt to me, not a major increase in power over my 848. 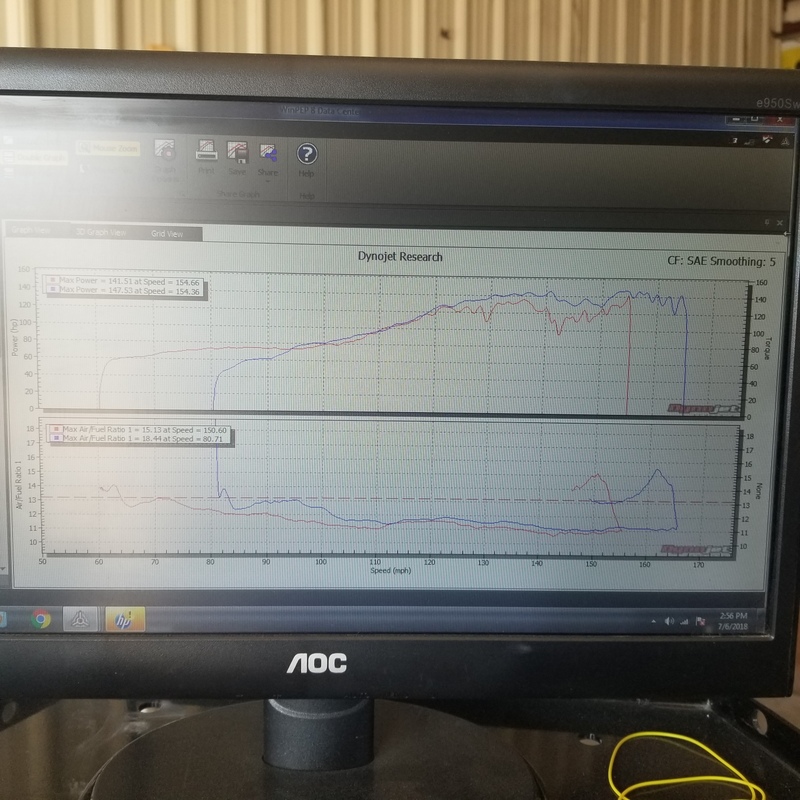 I put it on the Dyno today to check the numbers and got some surprising results. First: Max HP was 141 on the first pull and 147 on the 2nd pull. 2nd:A/F mixture was all over the place. 3rd: the HP curve jumps all over the place at high RPMs dipping from 135 to 98 and back. Now after some research I believe the bike has the UPMAP from the full system but only slip ons installed. Buying the bike used, I dont have any of the equipment to install a new map. Is there a way to purchase just the slip on map to install to see if I can smooth some of this out? Or would I need to buy something like rapidbike to tune my own map? You can take it to an authorized dealer to reset the map to your specs and request a simple diagnostic where they check to make sure everything is running as intended. You can try contacting TERMI and request the correct UPMAP based on your application. ...or as mentioned, perhaps a custom tune from a reputable establishment. This issue isnt the bike, or the dyno. The rear wheel speed sensor has a correcion factor for ram air. There is a bulletin that describes how to disconnect the sensor, so the un modified (by ram air/speed) will provide a proper dyno curve. Many people mapping these, make them so lean as they don't understand the correction. Stick with a proper tune like Rexxor.